The CERAtag D10 is part of our range of compact ceramic tags. 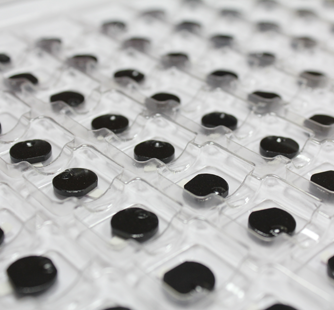 With a consistent size, they operate more efficiently and are readable at greater distances than conventional tags. 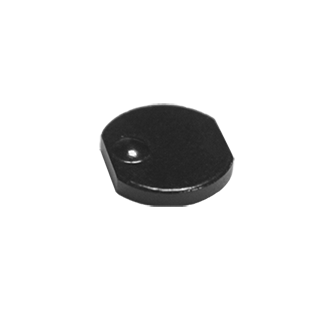 The CERAtag D10 is a passive 64 kbite RFID tag which is compliant with the ATA Spec 2000 Chap 9-5 EPC Class1 Gen2 V2.0 standard as well as the ISO-18000-6C standard. It is capable of withstanding extreme temperatures (-55°C/+150°C) and it has a memory with a service life which can exceed 30 years at 50°C. Its compact dimensions (10 x 1.6mm) mean that it can be installed on narrow metallic surfaces. Communication with the chip, including access to the user memory, works with any standard compatible Gen2 reader. Thanks to its large memory capacity and its limited dimensions, the CERAtag D10 is ideal for equipment which requires regular maintenance. These can then be logged in the chip. Bonded using powerful adhesives en nitto 5000ns, CERAtagD10 tags can be used both indoors and outdoors. Bit rate on transmission (PSK) 40 kbit/s min. to 640 kbit/s max. The CERAtag D10 is a small ceramic tag intended to withstand harsh environments. Its solidity, compact size and large memory make it ideal for storing material maintenance logs.